Generon, a leader in the design and supply of nitrogen generators, membrane nitrogen generators and pressure swing adsorption systems, and their Distributor, Condit Company of Tulsa is pleased to announce another Membrane NOW (Nitrogen On Wall) system, has been delivered to Canadian General Tower LTD. of New Braunfels TX for use in a product padding process. The New NOW Panel system was designed to deliver 99% pure nitrogen at flow rate of 12.5 SCFM. System included Oxygen analyzer, activated carbon filter. 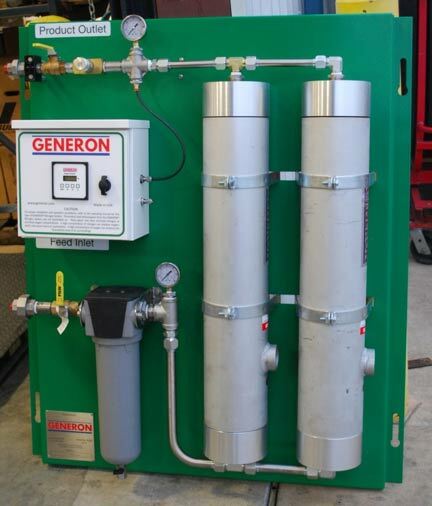 To compliment the GENERON® system, Houston Vessel Manufacturing, an affiliated IGS company, supplied the vessels and filters for this package. For further information on nitrogen systems by GENERON or the IGS Companies, please contact us through our website @ www.generon.com.